This is Innermost House, my home in the coastal mountains of Northern California. It is the latest of many very small houses my husband and I have occupied over twenty-five years, all for the same reason–to make possible a simple life of reflection and conversation. 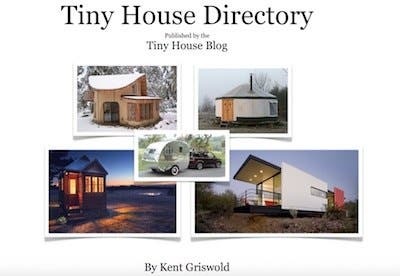 I am delighted now to be a part of Kent’s public conversation with others who share my love of tiny houses, and I’m grateful to Michael Janzen of Tiny House Design for introducing us. Innermost House is about twelve-feet square. It faces directly south beneath an open porch that shelters our front door. A hill rises to the north behind us and the forest lies all around. The house encloses five distinct rooms: to the east is a living room eleven feet deep by seven feet wide by twelve feet high; to the west the house is divided into kitchen, study, and bathroom, each approximately five feet wide by three feet deep, with a sleeping loft above the three of them, accessible by a wooden ladder we store against the wall. The living room is the heart of the house. It is where my husband and I spend most of our time, and where we receive our guests. On the east wall of the room is a small fireplace set a foot above the floor, with a hearth extension of bricks projecting a foot and a half into the room. On the west side is a wall of books four feet wide and seven feet tall. Between these walls of hearth and books, our two low chairs sit facing each other a couple of feet apart. Everything about the space is conceived to make a harmony of conversation possible. I know that sounds strange in a world where conversation seems to go on all the time every day. But pause for a moment and try to remember the single most moving and meaningful conversation you ever had. Perhaps it was with your mother or father in days long past, or with your husband or wife when you were first in love. Perhaps it was when you said goodbye to someone for the very last time. Now, how would you design, build and furnish a place so that those conversations could happen every day? That is the question we asked of every detail of Innermost House, and we are still asking it. The fireplace is where our conversation begins, just as it began a million years ago when human language and domesticated fire were born together. 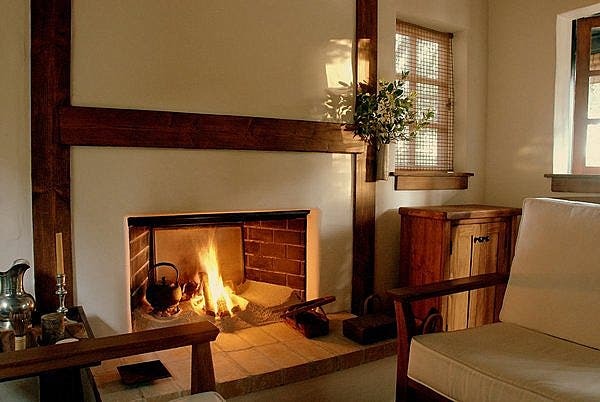 The fireplace is the original tiny house. 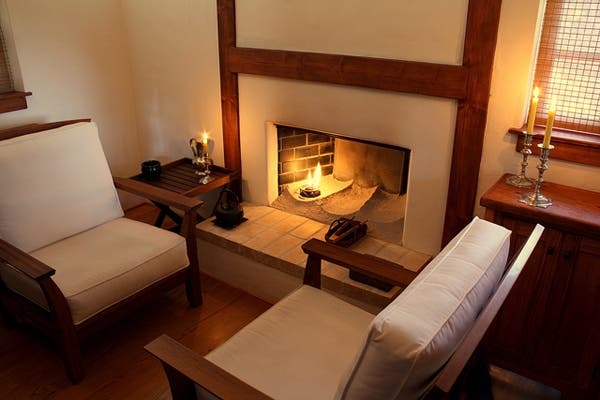 After all, what is a cave or a tipi or a wigwam but a big, enclosing fireplace? The fire is our link with the wild. Gazing into the fire seems to release our dream life into words. The books complete the circle of conversation on the other side. They are our link with the world. 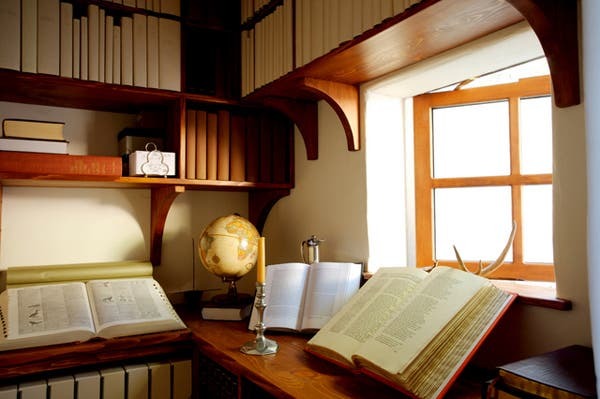 All of our books have been carefully chosen over the years as contributing something essential to the Innermost Life. It is strange that it was not until I saw them all together, illuminated by the fire at Innermost House, that I realized nearly every one was first written by firelight. In some way they represent the last light cast from that first fire at the mouth of a cave. We do not have electricity or power of other kind, so we warm the cabin and cook our food and heat our water for bathing all over the fire. Our firewood comes of local orchard prunings that would otherwise be burned as waste in the field. In the summer we cook over coals and wash with cold water. We light our home with beeswax candles. After examining all the options, we installed a conventional septic system, though we use very little water. The house is of mixed post and beam and stick construction. 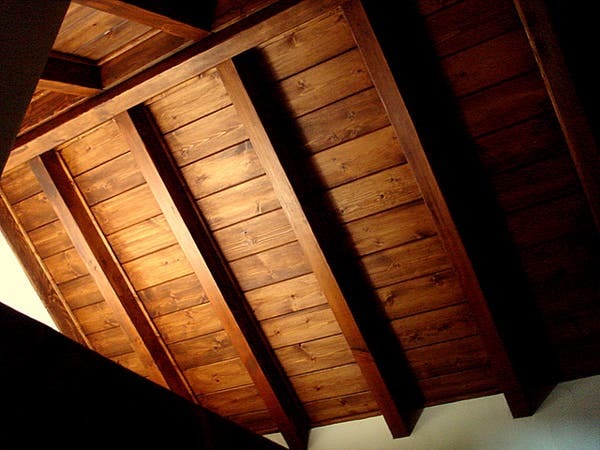 Our floor is of yellow pine tongue & grove planks, our ceiling of fir planks and rafters and beams. Our interior walls are of plain white lime plaster applied by hand over blue board. The exterior walls are clad in rough-sawn redwood board and batten. The roof is of cedar shakes. Both the redwood and the cedar are naturally resistant to rot, fire, and insects–all important considerations in the woods. 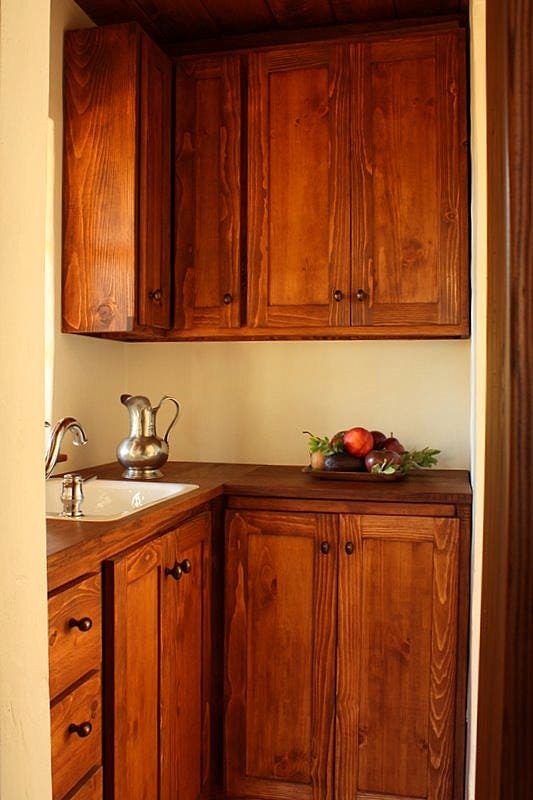 The house is constructed of natural, simple materials, with a lot of care taken to render them neat and plain. Real wood, real plaster. The real things really do make a difference, at whatever sacrifice they must be had. It’s worth waiting and saving for if you can. The building project required the better part of a year for two men working part time. A good deal of that time was spent in familiarizing ourselves with the traditional building language of the region. We would have built a rather different house in New Mexico or Massachusetts or Virginia. My husband always limits himself to the vernacular of a region so that, as he says, nature can have a hand in the building. This kind of life has been made possible for us by living in partnerships of one kind or another over the years, often in guest houses. We have moved many times, and have never owned a home. My husband is a private confidant and friend to people in public positions. Men come to him for the special kind of conversation he makes possible. Innermost House was built for us on the land of such a partner and friend. 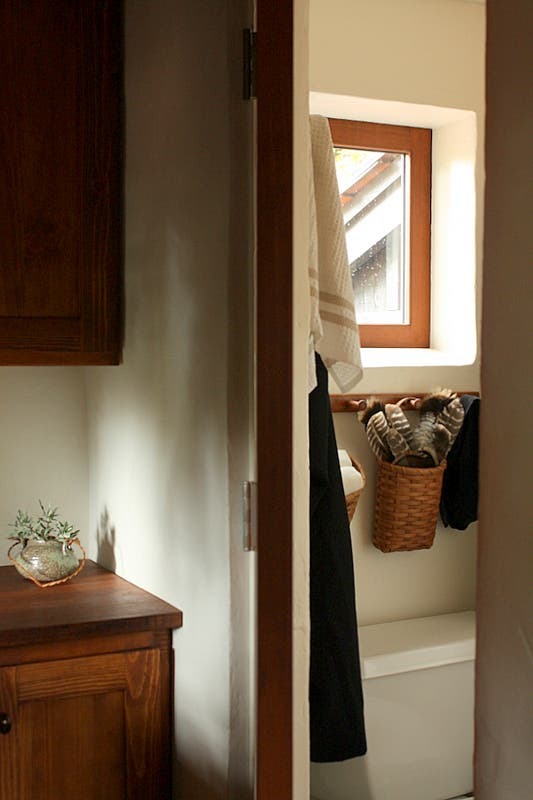 Many local building ordinances allow for small guesthouses. I have loved our small houses, and I love Innermost House most of all. There are many reasons for wanting to live in a tiny house. A simple life of high conversation is my reason. I could not live any other way. Visit another post by Diana here. Diana Lorence is an inspirational speaker on the pleasures of the Simple Life. Innermost House was designed by Diana’s husband, Michael Anthony Lorence. More photographs of Innermost House and stories of Diana’s life in the woods may be seen by visiting her website www.wordsfromthewoods.com. Dear Abi, I am so glad to hear from you. Your simple, kind words mean very much to me. Thank you. 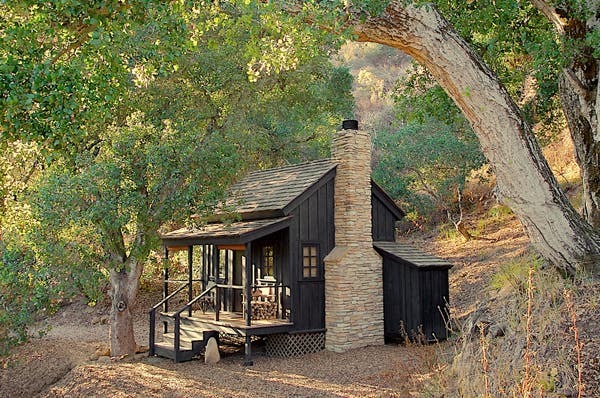 Beautiful photos or your beautiful little house…. Congratulations on a job well done…. What a beautiful home and article… Would it be too intrusive to ask what the cost of construction was? Dear Mark, You are very gracious to ask that way. The material cost of the house was about $40,000., excluding labor. In addition to that we employed a mason and a plasterer, who together came to about $5,000. My husband apprenticed himself to the handyman-caretaker who began the building, then ended up doing most of the work himself. It became a labor of love and craft for him. The cost of the septic system and of getting water to the site (which I shall address in a post below) are not included here. In other words, a CERTAIN type of extremely expensive gust house is allowed in a very small number of locations, if you are lucky where you need to live might be near one. The does not qualified as allowed in my books. It is 98% banned, so I would round up and call that banned. On my blog I have a post ” santa cruz accessory dwelling “promotion” program” which looks into this phenomenon specifically for santa cruz as an example city. I often feel awe as I come through the woods and catch sight of Innermost House, all shrouded there in the darkness. If you wish to read a little more of how it came to be what it is, you are welcome to read the brief journal entry, Sacred Game, here: http://wordsfromthewoods.com/#/journal-entries-i/sacred-game. You are very nice to write, thank you. This little house has superb craftsmanship. It looks like they didn’t scrimp on quality at all. It’s one of those little homes that you look at and start daydreaming about having one of your own and spending lazy weekends there. You are so right that my husband did not shrink from the labor! But he had no experience of craft, and the materials are very modest and plain. Yes, daydreams. Innermost House is a kind of dream, but it is very real to me. It is a kind of wide-awake dream, almost as though you have to go to sleep to the world in order to wake up in the woods. 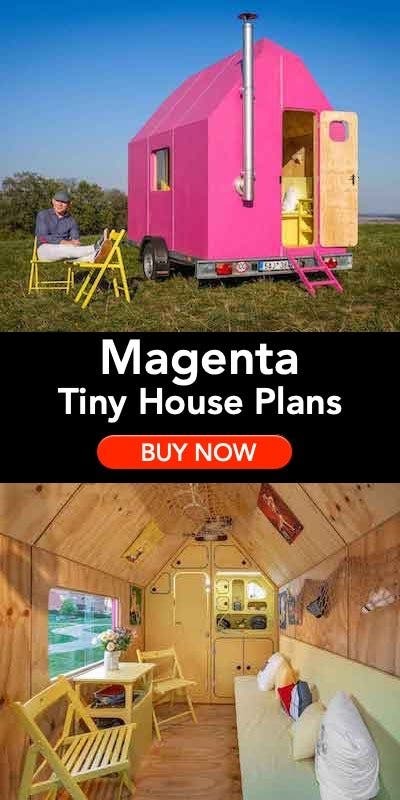 I hope your tiny house dreams come true. Thank you for writing. Some of those photographs look like a stark, gracious painting, all white walls and warm woodwork. There is an agricultural well on the property, and water is pumped from it to a cistern on the hill above us, from which it is gravity fed to the house through underground lines. It’s a funny thing about electricity. It seems to make the complicated life simpler, but the simple life more complicated. It all depends on where you begin. My husband and I came to the unelectrified life gradually through many moves over twenty years. Finally it just fell away. Hi Diana, I love the simplicity of your house! Each element is so carefully chosen. Still wondering how you pump the water without electricity though. Absolutely stunning. Beautiful. North Carolina in the summer doesn’t sound like I could bear it, though, with no electricity. I’m in awe! I think you misread– the house is in northern California, not North Carolina. Can get hot in some places, but summers are dry, not humid. I love it there. I know your beautiful part of the country from the years we lived in the 18th century historic area of Williamsburg, Virginia. I remember those summers! And yet here in the mountains of California it can reach a hundred degrees in the summer, and freezing temperatures in the winter. We knew we would not have power, so we built for shelter. The walls are eight inches thick and well insulated. The interior walls are finished with lime plaster, which is cool to the touch even on the hottest days. The roof is double-built with insulation above, and we have insulation in the floor below. In summer the deep shade of the woods is remarkably cool, and inside the house it is cooler still. We have never registered a temperature over seventy-five degrees indoors. In the winter it can get chilly, but even then we have never waked to a room under forty degrees. 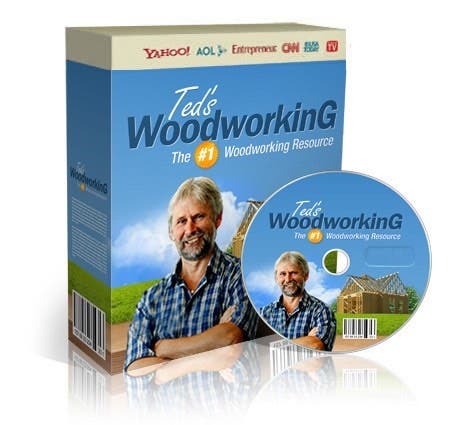 You get to gazing very fondly at your woodpile. You might be surprised at what you can do! Thank you so much for sharing your home and your heart! I just left your website, and read everything on it! It made me dream of doing something similiar. I would love to move to the Ozarks someday and build a happy small house to make a home. Your photographs are inspirational. I have 2 questions: 1- What is the difference in regular plaster and lime plaster? 2-Do you have any plans to come anywhere near Memphis, TN for a speaking engagement? I may have gotten in a little over my head with this one. I have heard my husband speak of lime plaster, and I know he was very particular about the walls. I asked him and it turns out that we used gypsum plaster, not lime, which mostly replaced lime-based plaster a hundred years ago because of the faster drying time. Apparently in effect they are very much the same. 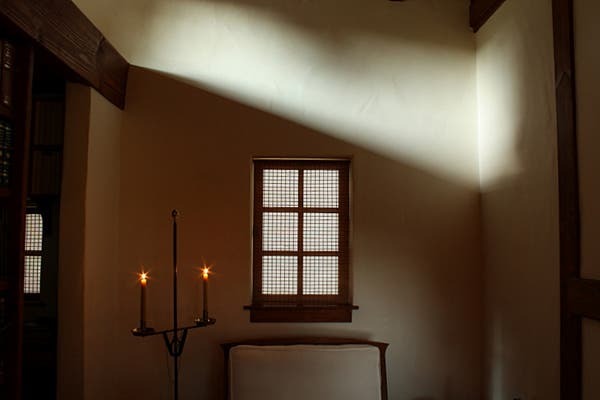 Traditional lime or gypsum plaster is applied in three coats over strips of wood called laths attached to the wall. Our plaster was applied over “blue board” which is a kind of wall board that takes the place of the laths and the first two coats. It takes weeks to dry to a very hard, dense surface, just like you see in historic buildings. My husband worked alongside the plasterers and insisted on an unusual technique of working over the half-set plaster with short trowels to produce an effect of smooth but unevenly undulating walls. You can see the result in some of the photographs. Guests say it is more like living skin than inanimate wall. “Regular plaster” today mostly means drywall and joint compound, which has a lot of practical advantages but which doesn’t produce the same effect of a living wall. I am sorry that I rarely travel anymore. We do make an annual pilgrimage to Williamsburg, Virginia though (where they do still use lime plaster!). Do you have any plans to visit San Fransisco? If you have any other questions you are very welcome to ask. Thanks so much for writing. Without elec.- you can always drive a well-point, to use a hand/primed pump- it works. I’m installing my own at my VT cabin soon. Lots of instructionals online. Anyway, VERY nice cabin- its almost like a pioneers micro-dollhouse- very aesthetically pleasing. Great work, or great eye…..
It’s funny you should say that about the work and the eye. It was a lot of work. My husband enjoyed it, though I confess that the ardors of construction were a little trying to me. But it really is the eye that makes the difference. Innermost House was a vision from the beginning. There were no plans, only Michael feeling his way from step to step, always in answer to his vision. Seeing is believing. Because my husband had a vision, he could build it. Nothing makes me happier than knowing that these photographs encourage others to be true to the vision in their own minds. I really appreciate hearing from you. I see they live on a hill, they may have a spring uphill from the cabin that provides water with no need for electricity or an on hill rain water collection system like we have above our small cabin. Very tasteful and peaceful. Love it. I am absolutely drooling here………. that place is awesome. We have plenty of your kin on our land. Two years ago a mother raised four pups behind our house. I shall never forget the wild sounds of her teaching them to sing outside the window. Beautiful details. Great pictures. Thanks for sharing. Gorgeous!! Although a little tooo perfect maybe? 🙂 Kind of like a museum. There’s something to what you say! My happiest home before we moved to the woods was in Williamsburg, Virginia. Colonial Williamsburg is known as America’s largest “living museum.” It is a town preserved just as it was in the 18th century. Two years in a twelve-by-sixteen-foot slave quarter there changed my whole life. If by museum, you mean extremely clean and “presented,” consider how much more time you have to clean a home if it is small and uncluttered. As for presentation, a home should reflect the personality and interests of the inhabitants…if a family prefers deep conversation, they will not have the clutter of many physical activities and hobbies…their home reflects the lifestyle of the Lorence family. My own home, unfortunately, reflects my overindulgence in activities…I am in the process of decluttering and deciding which are important to my contentment and lifestyle. I love rich conversation, but my house reflects disorganized chatter…LOVELY home, Diana! Amen, Hope! I am right there beside you, in spirit, trying to declutter, and keep only what I need! fabulously simple, elegant very earthy, cozy could have a gravity fed water system from a spring. A small footprint on the earth with minimal infrastructure to keep cost of building and maintenance minimal. You’re so right that this house expands time. Thank you for your very generous appreciation. This is house that has a strong presence. It asks why – why do you live the way you do, why have you made the choices to include those things and structures? 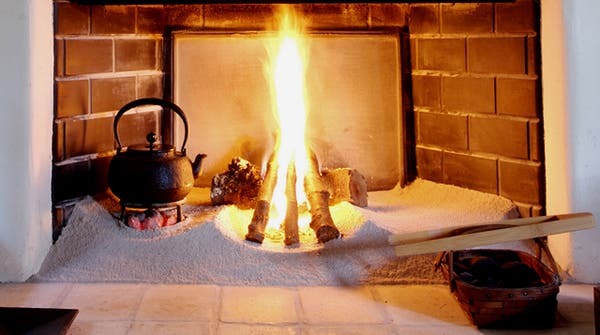 The fireplace seems special – or is that just sand and coals? Descriptions that come to mind seem so inadequate and commercialized (heirloom, quality, craftsman…). Yes, Innermost House is made for questions. People come to my husband with their questions, and he answers from the depth of this woodland life. That is the great question, how shall we change our life? If I may, I’ll answer your question about the fireplace further on. Thank you so much for writing. Simply Beautiful. Beautifully Simple. A conversation in itself, for sure. Thank you for sharing. Your life and house are very nice and wonderfull!!! Thank you both very much. I can never get over the wonder of it myself! Speechless. So much I want to say and yet I can find no adequate words. Here is a way of life that I thought was relegated to the past or that existed only in books. Less is more. How rich you are. You inspire me. You found such beautiful words, you make me cry. I am so grateful to you for writing. Your life and house are very nice and wonderful. Thanks!!! Beautiful. Inspiring. 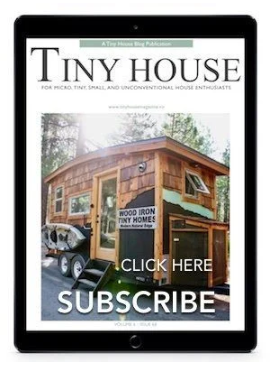 Articles like this are the reason I frequenly visit the TinyHouseBlog. 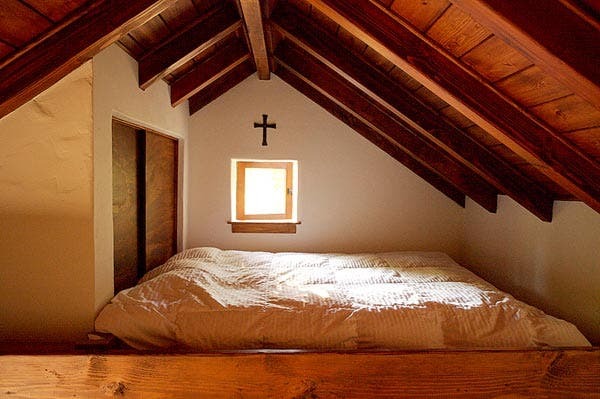 It reminds me of a chapel – a little bit Quaker, a little bit early pilgrim, radiating peace and contentment. A perfect marriage of form and function. What an interesting fireplace. I like the separate kettle area but was wondering what the third zone was for. Is it to expand into when a larger heating fire is needed? A place for another cooking pot? Those are very perceptive associations. Innermost House is akin to much that is early and spiritual in our American past. You and Lauren and ET have asked about the fireplace. The hearth floor is covered in hardwood ash accumulated over years of winter fires. When my husband lays the fire each morning he clears the ash of remaining impurities, then with a brush he sculpts the ash into any of a variety of shapes for the evening fire. Most of the forms have three “wells”–the one in the center to elevate the logs and hold the fire; the left one for coals over which we cook our meals and boil our water; and the one on the right for wood he leans against the firebox wall to adjust the flame. It is just a brief ritual, like making a bed in the morning. And there is a certain beauty and satisfaction in keeping the dirtiest part of the house particularly clean. It is a marriage of form and function, just as you say. There is a form even to spiritual things, and a spirituality to function. I am so glad you wrote, thank you. what a great house! any chance you have a drawing that could give me a better sense of the room layout? I am so curious about the base of your fireplace. There are ‘zones’ for different activities? Is the space on the right a place for hot coals to cook/boil water? Beautiful and very clever. Whoops. ‘Left’. Also, I see that Alice already asked my question. That is such a good question, thank you. I answered you just above. What a perfect little home, what a nourishing place it seems to be. How perfect to have everything so close in the living space with the small fireplace right at hand. I have always loved it when the power fails in my area of the city, because our house becomes so still and quiet. I can only begin to imagine the peace of always living without noisy machines forever humming in the background. One year the power failed in our neighborhood for five days… I remember so vividly helping my young daughters bathe by candlelight, and how we all clustered together in the evenings reading by candlelight and telling stories. Somehow the lighting and the way the house looks reminds me of a painting by Vermeer. Thank you so much for sharing the photos of your beautiful home! And thank you for sparking my memories of that long ago power outage. I can tell you are a very sensitive person, and I’m so glad to hear from you. May I invite you to glance through a brief journal entry entitled “The Half-light” as my best way of answering your note? –wordsfromthewoods.the-half-light. Silence, stillness, shadows–these are the very last luxuries. And we often must surrender everything else to enjoy them. Thank you, this means a lot to me. The circle of people who surround my husband is so private that it was with some hesitation I began speaking last year. Words like yours confirm me in reaching out to a wider circle for this hidden life. How beautiful! Even the pictures gave me a feeling of serenity. Thanks for sharing this story. Your home is lovely! Even taking these pictures was an experience of serenity. Thank you for writing from beautiful Minnesota. Very inspiring,I would love to hear you speak sometime soon. Searching for this simplicity of lifestyle. I am not so much a speaker as a whisperer, so I mostly speak to small groups. If you ever have a small group and are in the San Francisco Bay area, I would be happy to speak there. Please just write me at http://www.wordsfromthewoods.com. If you keep searching, you will find the simple life you are looking for. Thank you for writing. Lovely. Inspiring. Peaceful. Dream-full. Being. I will sleep tonight with your Innermost House in my heart. Nancy and I really love your mountain home! Fifty-five years ago we used to roam the mountains near Placerville and Angel’s camp while fishing and panning gold. Seeing your beautiuful home makes us want to go back and enjoy that great life again. Thank you for writing. It’s beautiful that the two of you share so many years of happy memories. It sounds to me like you found that gold you were panning for. Oh, wow. That is amazing and beautiful! The fireplace and chimney…just, wow. Gorgeous. I would love to have a copy of your house, although slightly larger because we have two children! The books are beautiful, also. Two children would certainly require a larger house than ours! But I have learned something from my presentations to children. Sometimes I ask them to draw a picture of a house before I show them the big photographs. And most draw a home just like ours–all from their imaginations. It is as though there is an Innermost House within them, until they grow older and forget it. Maybe we all have an Innermost House within us. I am so happy to hear from you. When I saw the photos of your home I felt that it was a place inside of me, that I’d always known. I love being there. That’s a beautiful little house. I love it !!! I believe your home is a perfect illustration of the value of quality, a virtue all too scare in this age. The traditional styling is brilliant and elegant. The appeal resonates as a visual poem on the heart. Very well done. Thank you for sharing it with us. Inspiring. Thank you! I love poetry. A few lines at a time I love best, with a lot of silent space to reflect on the music of the words. This morning one of the guests to this tiny house blog sent to my website email a poem of longing they had composed long ago, so beautiful it would break your heart. A small house is like a poem, where all the words we do not need have been left out, and the little that is left, sings. You must visit her web site, the words and images there will change your life a little. I want so much to jump ahead to where she is now. I must remember that it is a long slow process of letting go of things, habits and distractions. Yes, you could just sell all your stuff and move to the woods and it would be a start, but Diana and her husband have carefully chosen not only what to take and what to leave, but what to expose themselves to and what to think about. Every facet of there lives, chosen. that takes time. I would love to see a basic layout of the house (it’s not clear how the kitchen and bathroom are oriented). I’d also like to see more pictures of the kitchen. I think I saw only two, one with vegetables next to a sink and one of cupboards. The basic layout of the house is actually very simple. Just draw a square about twelve feet on each side, then label the four sides north, south, east, and west as on a map. Now divide the square down the middle. The east half is the living room. Take the west half and divide it into even thirds, with the kitchen to the south, the study to the north, and the bath in the middle. Then put a loft over that whole west half and there you have it! The bathroom is entered through a door in the north wall of the kitchen. 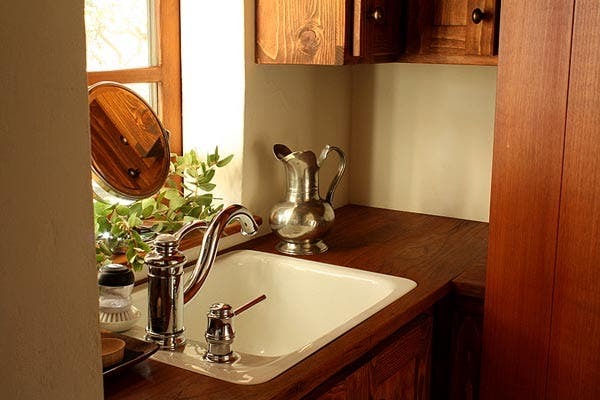 And as to photographs of the kitchen, what you’ve seen is all there is–it’s just sink and cupboards. It’s really that simple. Thanks very much for asking. Thanks so much and thanks for the new pictures. (the first time I stopped by they weren’t there, but that gives a better understanding of the room). Without electricity…I’m a bit curious on your food storage?…Is their an old fashioned Icebox lurking in the corner somewhere storing a slab of cheese, a stick of butter and a few eggs? You learn by trying, and I have had plenty of opportunity to learn. We go out once a week to the local farmers’ market for fruit and vegetables and cheese. These generally keep for the week in a cool, dark cupboard, and comprise most of our diet, along with nuts and grains that keep for a longer time. Through the course of the week the vegetables inevitably deteriorate, and the salads of the early days become the stews of the end of the week. We don’t have severe summers, but if we did we would use a cooler as we have elsewhere. A refrigerator is a great convenience, but it isn’t really necessary. That question often comes up in speaking presentations. I’m glad you asked. This is home as a sacred space at its finest. Thanks for giving us a glimpse of the joy, peace and richness of a truly simple life. I am grateful to have so simple a life to give. It was given to me, and I am grateful to give it. You are very kind to write. How very beautiful. Thank you so much for sharing. I was filled with quiet peace reading the article, then going to your website and reading and studying the pictures there. 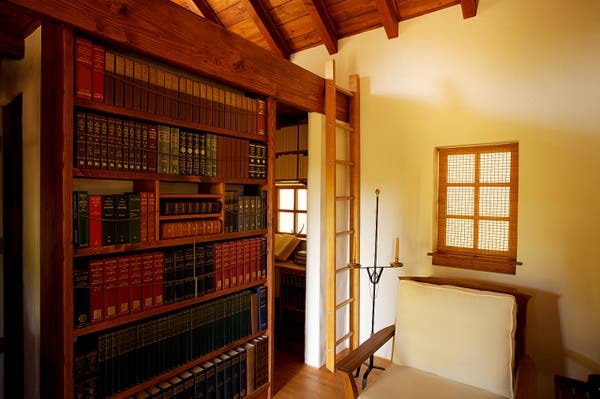 I am wondering, the beautiful bookcase under the ladder, what purpose the string holds? It appears the top 3 shelves have a string from one end to the other. Does the ladder vibrate them loose, and this keeps them from falling? You have a lovely home, thank you for letting us visit you via photos. Regarding the books in the tall bookcase, I am now thinking the string across the top shelves is in case of earthquakes. Thank you again for sharing your home with us. Northern California is earthquake country, and in other homes we have had heavy books literally fly off the shelves. The chains assure that, even if we go flying out of the loft, the books will stay in their places! Your question was a very good one, thank you. 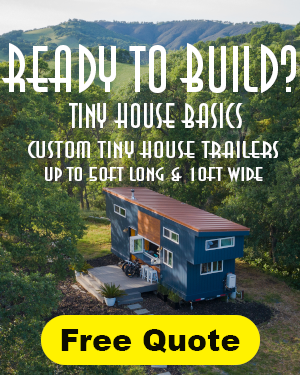 I’ve been reading and looking at the photographs in every entry in the Tiny House Blog for a few years now and I have to say this is the most inspiring one! Thank you so much for giving me inspiration to change my tiny house into a home. I’m a little curious about the grids over the windows. Have you had problems with thieves -or bears? My first thought was that they would detract somewhat from the peacefulness, but then I remembered seeing similar grids in some church windows, so I guess it is just a matter of how you see them. It is deeply satisfying to know that we have satisfied not only ourselves but others. I very much appreciate your generous words. Looking back at the pictures I see how the window coverings might look like wire grids, but actually they are just reed blinds that we take in and out as necessary. 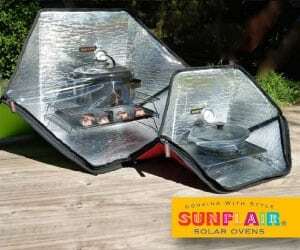 The quality of light is of the greatest importance in a place like Innermost House. The spirit is in the light, but one can only see the spirit in half-darkness. We manipulate the light by means of translucent reed blinds in the windows and the more opaque reed blinds on the porch. You might enjoy the journal entry, “The Half-light” http://wordsfromthewoods.com/#/journal-entries-i/the-half-light. Your home is spectacular! Every inch looks to be perfection. Great to see how beautifully you can live off grid. It looks so full of warmth and happiness. Well done, enjoy your wonderful tiny house! I am sorry that the house is too small for three, and the woods are much too dangerous for a cat! Fortunately we have some dear friends among other people’s cats and dogs. We share our Innermost Life with them away from home. Here is a story about one: http://wordsfromthewoods.com/#/journal-entries-i/inside-out. Thanks for writing. I read everything on your site yesterday, many times your words and stories brought me to tears. I am deeply affected by the beauty and grace of your words and home. Innermost house and the forest is calling me to a similar life. I would so love to hear you speak. I have lived so hidden a life for so long, only one who understands as you do can know what those words mean to me. Thank you, thank you from my heart. I would love to see you among my guests one day when we can all speak together of the Innermost Life. I’m a perennial lurker and never a poster on the many sites I enjoy, but I just felt so compelled to comment on this story. Truly, words cannot express the beauty of this house and ideas that accompany it. And as I write this, over and over, deleting and rewriting, to try to express the feelings these pictures evoke, I find I am just without words. Thank you so much for sharing your story. I am so glad you chose to write. For many years I too was silent. When you live in silence for a long time deep feelings grow that have to struggle toward the light. Your words are perfect. I think I know exactly how you feel. I hope you’ll write again. With room to spare for a zazen cushion. I am delighted to be introduced to Shih-wu. My husband and I often read aloud from the Chinese poets. 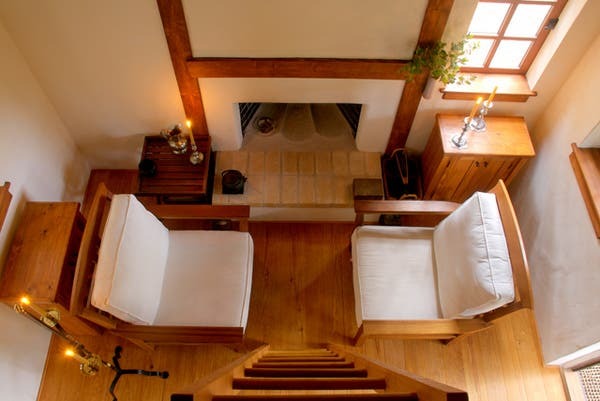 As it happens the cushions on our low chairs sit at just the same height above the elevated hearth floor as would a zazen cushion. Thanks especially for writing with that charming poem. Thank you so much for sharing Innermost House. I love the story and your Web site too. Innermost House reminds me of my relatives homes in Japan. Beauty is often found when there is less man made and more of Nature’s bounties. Thank you too for being an example. I definitely need to start examining what is essential and what I am passionate about. I have heard my husband say that, were it not for traditional Japan, a great part of the human soul would have gone unexpressed. Mahalo and may you persist in your search for the truth of your heart. I’ve been searching for this all my life, but how can you find something you can’t describe? A life like this doesn’t happen by accident. She and her husband must have been searching too. They found what they were looking for–I don’t know, maybe what we’re all looking for. Someone wrote on her website that there must be a way to live in her world. I’ve always believed it was possible, and now I know it’s true. Beauty, peace, time for deep conversation…this is what I long for. I’m really impressed how gracious the other responses have been. Looking into a life like this can change your life. I know it’s changed mine. Thank you Diana. You can believe it. It will always be there. Innermost House is within you. My daughter is a recent advocate for tiny houses and she sent me this link to your site as it is one of her favorites. I compliment you on having so many thoughtful ideas and appreciate your reference to conversation. As a teacher in the Waldorf School Movement, I have frequently studied the ideas of Goethe. You must be familiar with the idea of Goethean conversation. For years the circle of people who visit Innermost House have sought for a name to describe the extraordinary conversations my husband makes possible. Now I read this of Goethean conversation and find all the same elements there: the spiritual sobriety, the feeling for First Causes, the communion, the spontaneity, the silence, the Beautiful Necessity, the composition of a whole, the illumination. Thank you for giving me this insight into the history of the life I lead and of its meaning to others. Hey, ‘meant to ask, is the cabin’s moniker a spin on the famous Henry Beston/Naturalist’s book “The Outermost House”? Just curious. Hope you’re well. When our home was first enclosed with a makeshift door, I stepped inside and found myself whispering, “This is Innermost House.” That old book must have been somewhere in the back of my mind. One day Innermost House too will be claimed by the elements. I hope it will be remembered. Most Inspiring Small House Ever. That is the difference, and what a difference it makes. Diana, absolutely wonderful. Very much my style. The bookshelves and kitchen are perfect. Diana, You have been so gracious to share so much of your time with us. We must have drawn you out of your quiet world for quite a while to answer so many of us personally. I assume you have to leave the woods and go some where to access the internet and write to us. That makes me feel a little guilty. In a way we are disturbing the very thing we admire. I love your web sight, I have recommended it to many people. It is enough that you do what you do and allow us to be aware of it. thank you again. Being in the world is different when you know you have an Innermost Life at home. When I go out I take my woods with me now. You are so good to concern yourself for me, and I am very grateful to you. But it really is my pleasure. Oh, this is one of those inspiring moments that makes my life seem foolishly complicated and expensive. This is radically simple, yet expertly and artfully executed. Now, what shall I do with this? There is nothing foolish about beginning, and it is always expensive to begin. So what shall you do now? Begin! I ADORE your home and am in awe of your lifestyle. I have daydreamed often about living so simply without electricity. Could you be so kind as to answer how you accomplish some modern-day tasks? 1) How do you do laundry? Is it a daily or weekly event? 2) How do you maintain a website and answer emails? 3) You mentioned a diet primarily of fruit, vegetables and cheese – with some nuts and grains. And that you cook in only one pot on the hearth. Do you eat any meat? Does your stew recipe vary other than by the variety of the vegetables? What grains do you eat and how do you cook them? Porridge? 4) Do you each maintain cell phones? 1) We use a local fluff-and-fold service. 2) Since I began speaking last year we had to get an automobile, and now I have taken a little writing office nearby. 3) Like Siddhartha we eat whatever is served to us away from home. Our stew and salad vegetables vary with the season, as you say. I use a variety of small grains and baby legumes because they cook quickly. 4) We have a cellphone we use for business when we are out. What a treat to see your beautiful home. It is like the two of you pristine, elegant, excellent, uber simple and totally unique. You belong to our earliest times and bring all the history with you to the present and you make sense of it all. Wish to see you again soon. A conversation is wanted. Yes we share a history together, you and your husband, Michael and I. Innermost House is our link between the days. It would be lovely to see you again and resume our beautiful conversation. I am so glad you wrote. For those of us who have always been drawn to living simply and in a minimally obtrusive way, you have thought through every detail and made every square foot work for you. Your house in an inspiration to me and I thank you for sharing. This is one of the most beautiful houses I’ve ever seen- of any size. Thank you for sharing with us.